Far [Vinyl] by Warner Bros. at WA Tunes. MPN: 519396. Hurry! Limited time offer. Offer valid only while supplies last. Far, Regina Spektor's much anticipated follow-up to Begin to Hope, once again spotlights her daring piano pop, vocal acrobatics and offbeat wit. 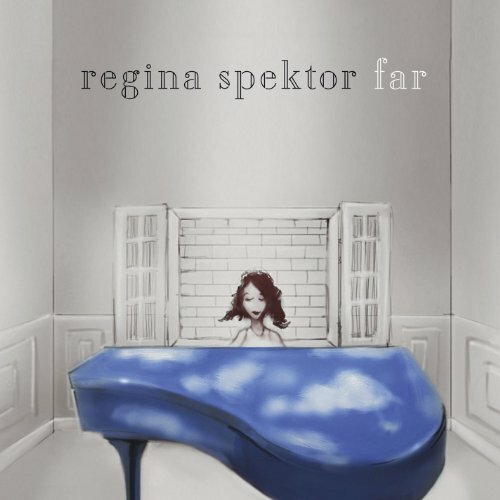 Far, Regina Spektor's much anticipated follow-up to Begin to Hope, once again spotlights her daring piano pop, vocal acrobatics and offbeat wit. Utilizing four esteemed producers-Jeff Lynne (ELO, The Traveling Wilburys), Mike Elizondo (Dr. Dre, Eminem), David Kahne (Paul McCartney, The Strokes) and Garret "Jacknife" Lee (Weezer, R.E.M. ), Spektor combines rich soundscapes with evocative and intricately structured melodies and a remarkable gift for crafting intelligent, refreshingly honest odes to life. With Far, major stardom draws near for Regina Spektor.